Does Jennifer Lawrence seem like the type of girl to place ultimatums on who her boyfriend Chris Martin can or cannot see? And yet, that’s exactly what we’re hearing. According to the latest report from Naughty Gossip, Jennifer Lawrence has ‘demands’ for Chris Martin. More specifically, Jennifer has ordered Chris to stay away from his ex-wife, Gwyneth Paltrow, not see her, not talk to her, and basically have the most limited interaction with her as possible. Obviously, they are raising two children together, so a complete cut-off isn’t possible. But will Chris actually listen to his new girlfriend and stay away from his best friend/ex-wife? Naughty Gossip’s sources add that Chris apparently isn’t taking Jennifer’s demands seriously, and he thinks they’re all rooted in jealousy and insecurity. AND? What’s his point? After the stunt Gwyneth Paltrow pulled with arranging TMZ cameras to ‘candidly’ capture her moment of intimacy with Chris, can you blame Jennifer for wanting to keep those two separate? No matter how secure or confident a girl is – and Jennifer Lawrence seems plenty confident – having your significant other spend a lot of time with his ex is going to grate on you. I doubt she barred any contact – again, the kids issue – but I’m sure she suggested to Chris that she would be happier if he kept contact with Gwyneth to a minimum. Of course, Gwyneth Paltrow is going to be furious once she hears about this, but what’s the worst she’s going to do? She can try manipulating the situation again, but I don’t think Chris will fall into the trap twice – especially if his relationship with J.Law is at stake. What do you guys think about Jennifer Lawrence placing ultimatums on Chris’ relationship with his ex-wife? Do you think she would actually do that, and would Chris listen? Let us know your thoughts in the comments below. 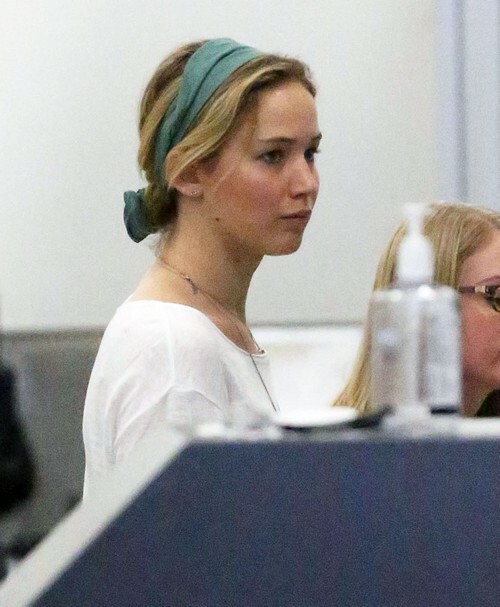 Jennifer Lawrence Furious Gwyneth Paltrow Makes Chris Martin Jealous With Brad Falchuk Romance: Gwyn Wants Chris Back? Chris Martin Retiring From Music – Chasing Jennifer Lawrence Full-Time Job?